In September 2018, the Ministry of Justice (MOJ) published its quarterly (April-June 2018) ET statistics. The statistics reveal that the number of single claim cases have more than doubled - up 165% to 10,996 compared to the same quarter in 2017. The number of multiple claim cases have increased by 344% to 42,700 compared to the same quarter in 2017. The trajectory of claims increasing continues from earlier this year (January-March 2018) – where single claim cases increased by 118% and multiple claim cases increased by 40% compared to the same quarter in 2017. The employer, Michelin, dismissed their employee who was signed off with stress. The President of the Employment Tribunals (England and Wales) has issued Presidential Guidance on the protocol for “judicial assessment” in the Employment Tribunal. The guidance came into force on 3 October 2016. 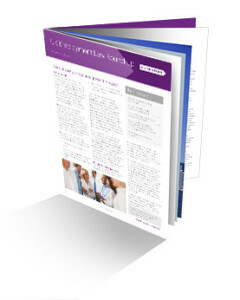 Employment Tribunals must have regard to the guidance, but they are not bound by it. Judicial assessment is an unbiased review undertaken by an employment judge on the merits of the parties’ respective claims (including liability) and/or the potential remedy. This takes place at an early stage of the proceedings, typically at a preliminary hearing, and it is a confidential assessment with the aim of encouraging settlement between the parties. The assessment can only take place subject to the parties’ consent and after the parties formally identify the issues and the judge gives case management orders. The protocol makes it clear that the parties cannot refer to the assessment in later stages of the litigation. Therefore, if they do not succeed in settling the claim, the independent judge conducting the final hearing will not be aware of the outcome of the judicial assessment. As such, the judge who carries out the assessment will make it clear that this assessment is provisional and the result of a final hearing may well differ. This judge will then normally cease having any involvement in the case (except for day-to-day case management of the proceedings). It appears that this procedure will be particularly helpful for litigants in person (a party to a claim without professional representation) as it will highlight strengths and weaknesses of their case that they may not otherwise be able to identify. In any event, this development marks an interesting second small step away from a purely adversarial system in the Employment Tribunal, following the introduction of judicial mediation 10 years ago. In this issue, we look at whether a job applicant can gain protection under the Framework and Equal Treatment Directives if the purpose of the application is to gain the status of someone who can make a claim to gain compensation. In our case law review, we will also re-visit what constitutes “normal remuneration” when calculating holiday pay and whether a reasonable adjustment for a disabled employee can extend to payment protection. We provide guidance on how offers of employment should be made to ensure that communication about employment is not misinterpreted by prospective employees. 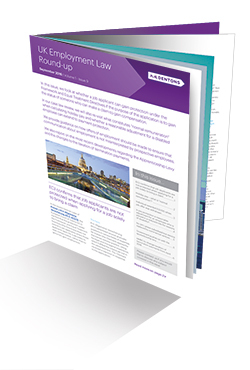 We also report on the most recent developments regarding the Apprenticeship Levy and the changes to the taxation of termination payments. In this issue, we consider the requirements of recent legislative changes including the new whistleblowing regime for financial institutions and the updated employment rates/limits for 2016/2017. Hot on the heels of International Women’s Day, we also explain how the spotlight on diversity continues with the release of EHRC guidance on improving diversity at senior levels of business. Another complicated area for clients can be dealing with issues surrounding PHI schemes and we analyse a recent decision in this field. In this edition we will be taking a look at some employment issues which have been making headlines and at some of the more technical points raised in recent case law. We will consider the Government’s recent release of its hotly awaited consultation paper on gender pay gap reporting; and the implications of the High Court’s recent ruling that parts of the criminal records checks rules are ‘arbitrary’ and unlawful. We will also delve into a recent tax decision of the Upper Tribunal considering the taxation of injury to feelings settlement payment; a couple of EAT cases highlighting its approach to Early Conciliation and the Tribunal’s powers to make case management orders; and a rare TUPE case dealing with the issue of temporary cessation of work. Imagine the scenario: you have a disgruntled employee who decides to leak details about your staff on to the internet. You then receive a High Court claim from your staff because of this employee’s action. Can your staff really bring a claim against your business? The company did not leak the data, the employee did. This is the situation that supermarket chain Morrisons now faces in the High Court, in what we are sure will be a hotly contested case. Andrew Skelton, a senior auditor at Morrisons, was disciplined for using the post room to send out personal packages. On March 14, 2014, Skelton (seemingly in an act of revenge) published online and sent a local newspaper personal data relating to 99,998 Morrisons staff. This information included bank account details and National Insurance numbers. Skelton was jailed for eight years in July 2015 for his actions. On October 26, 2015, Senior Master Barbara Fontaine at the High Court (Queen’s Bench Division) allowed affected staff to pursue a group claim against Morrisons. At the moment, we understand that nearly 2,000 staff are part of this action but the Senior Master has stayed the proceedings for a four-month period to allow other affected employees to join the claim.